For the rapid identification and differentiation of Neisseria spp., including N. gonorrhoeae and N. meningitidis, and Moraxella (Branhamella) catarrhalis. CarboFerm™ uses acid production from carbohydrates to differentiate and identify Neisseria species and M. catarrhalis. Performs a glucose, lactose, maltose, sucrose, and butyrate test. 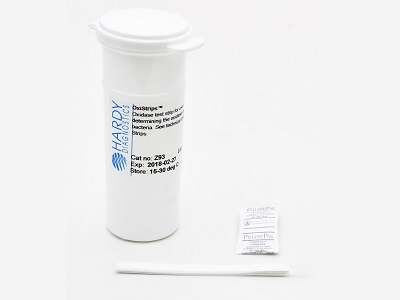 CarboFerm™ Neisseria Kit reduces the time required from the usual 48 hours to as little as 2 - 4 hours! 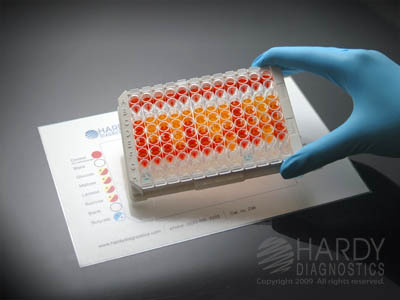 See below to view the Instructions For Use (IFU), MSDS, and color brochures that feature the many other rapid test methods offered by Hardy. 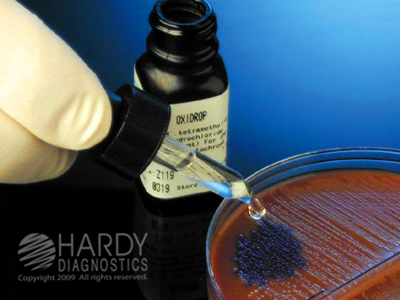 The Hardy Diagnostics manufacturing facility and quality management system comply with the FDA's Good Manufacturing Practices (GMP) and have achieved ISO 13485 certification as a medical device manufacturer. Quality is a science...Service is an art. 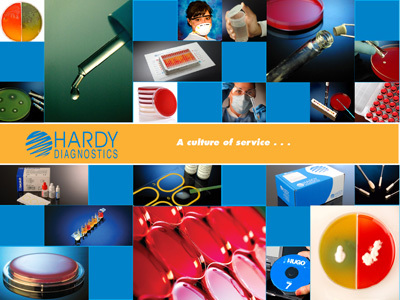 At Hardy Diagnostics, we believe in excellence in patient care...just like you do. Z119 OxiDrops, liquid oxidase reagent for spot test, 7ml, dropper bottle, by Hardy Diagnostics. This product has a short shelf life and ships from our California warehouse only.